The world's thinnest Tablet up till this very moment is the Dell venue 8 7000 series Tablet and it's the first on this list. At just 6mm (under a quarter-inch) thick, Dell Venue 8 (7000) is unambiguously touted as the world’s thinnest tablet. [Note that this tablet is the newer version of/and different from the original Dell Venue 8 tablet which was released last year]. It comes with a very attractive and professional design, fitting anyone holding it. It packs a 2K resolution 8.4" OLED display, a Moorfield series quad-core Atom CPU, and a very intriguing tri-camera setup on the back that leverage Intel’s new RealSense Snapshot Depth Camera. With 2GB of RAM and 16GB of Internal storage, this new Dell Venue 8 is a big deal. Also, Its rear camera is a 8 MP camera, augmented by a 2 MP front camera that gathers depth and dimensional data. See the new Dell Venue 8 premium design in the official introduction video below !!! Any smartphone / tablet list that doesn't have Apple in it is probably incomplete, I sound like an iFan here, I'm not but that's just the fact. Well, Apple also gets featured on this list because of their professionally built Apple iPad Air 2. Apple surely outdoes itself when the design of the iPad Air 2 was thoroughly inspected, which is the world’s second thinnest tablet announced. It is 18% thinner than the original 2013 iPad Air. Unless you have them compared side-by-side, it’d be very tough for you to admire the design improvements Apple has achieved with this tablet, but, seriously, it’s very thin at 6.1mm and lightweight at 444 gr, this combination alone makes it considerably easier to handle while traveling than most laptops and tablets, since it’s something that occupies minimal space in a backpack or bag. With 8 MP rear camera and 1.2 MP front camera, in conjunction with your most preferred internal storage - 16GB / 64GB / 128GB you're good to take unlimited pictures with this tablet. 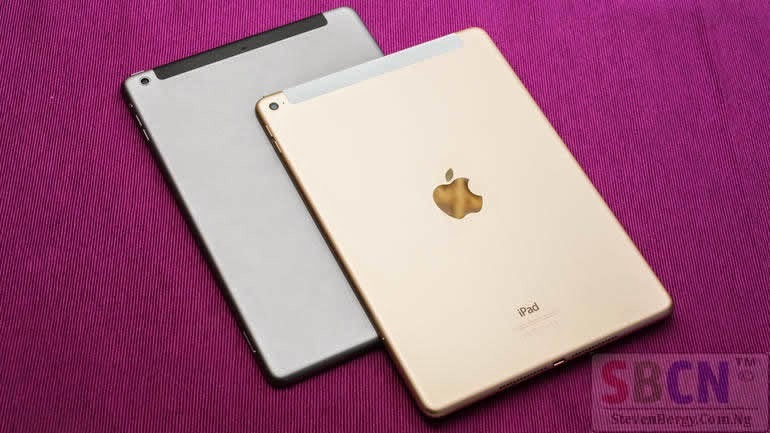 See the Apple iPad Air 2's sleek design in the video below !!! With 3GB RAM, 16GB Internal storage, 8.1MP rear camera and 2.2MP front camera , the Xperia Z2 tablet is one of the most well-engineered tablets in the market. Its waterproof ability allows you to use it in water up to 5 feet (1.5m) for more than an hour, and it won't get drunk. Just make sure the protective port flaps are firmly closed when taking pictures at the pool side, when lying in the bathtub or indulging in some other watery-geeky activities. 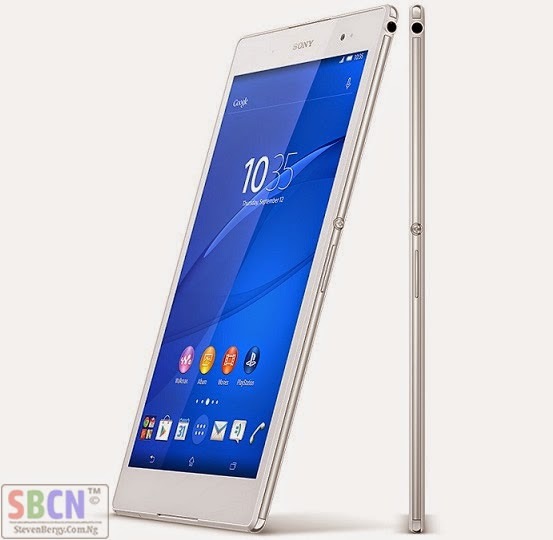 The Sony Xperia Z2 Tablet official introduction video below throws more light into the aforementioned facts. It's Sony again. Sony's craftsmanship has once again proved that the company can continuously amp up its game. At 6.4mm, the Xperia Z3 Tablet Compact is still among the most slender and compact 8-inch slates in the world. It's also very light at just 270 g, can you imagine it's as light as a feather. This tab is slightly tall at 8.40” inch (213.4 mm) being IP65/68-certified, which means that it's water-friendly, yeah, a water dip of up to 30 minutes / 1.5 meters will do no harm to this tough tablet. With almost the same Specs with the Sony Xperia Z2 tablet in number 3 above, the Xperia Z3 Tablet Compact might be that super tablet you've been waiting for. 5. 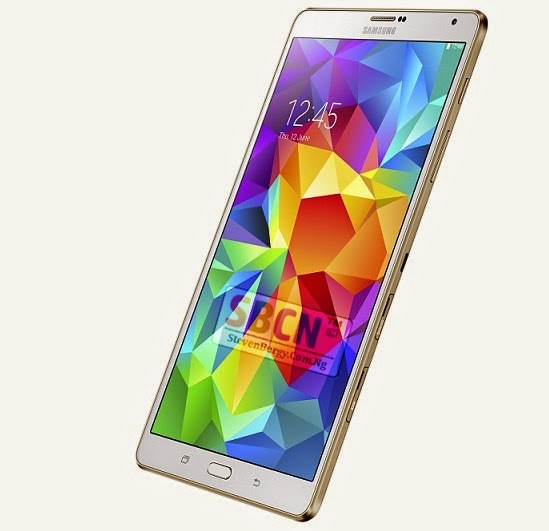 Samsung Galaxy Tab S 8.4"
Finally, here comes the first Sammy on the list. If you think I'm a Samsung fan, I think you're right. Who doesn't like walking & working with the best and winning team ? 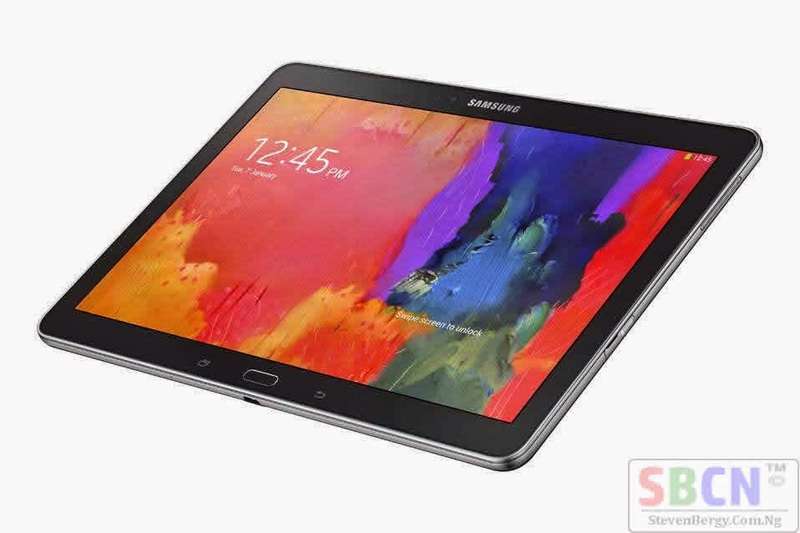 With the Samsung Galaxy Tab S, you'll probably stop looking for other tablets. Why ? The Samsung Galaxy Tab S is just 0.26" (6.6mm) thin, weighing 10.51 oz (298 g). It is the first and best high-res Super AMOLED 8-inch tablet and it is very mobile, very slim, very thin, very powerful, with the highest pixel density of all 8-inchers. 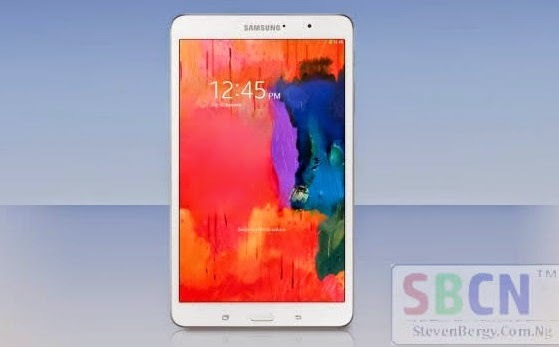 With 3GB RAM, 16GB / 32GB storage, Exynos 5 Octa processor, 8.1 MP primary camera and 2.1 MP secondary camera, the Galaxy Tab S 8.4" deserves some credits. 6. Samsung Galaxy Tab S 10.5"
Do you know how it feels when a younger boy knows his older, bigger brother is behind him, maybe for some protection ? LoL. I guess that's how the Samsung Galaxy Tab S 8.4" is feeling right now because here behind him is his older brother - the Samsung Galaxy Tab S 10.5". The Galaxy Tab S 10.5, is also just 0.26" (6.6mm) thin, and it weighs 16.47 oz (467 g), making it one of the most compact and light 10-inchers out there. It sports the same 1600x2560 resolution and Exynos 5 Octa processor as its 8.4 counterpart. 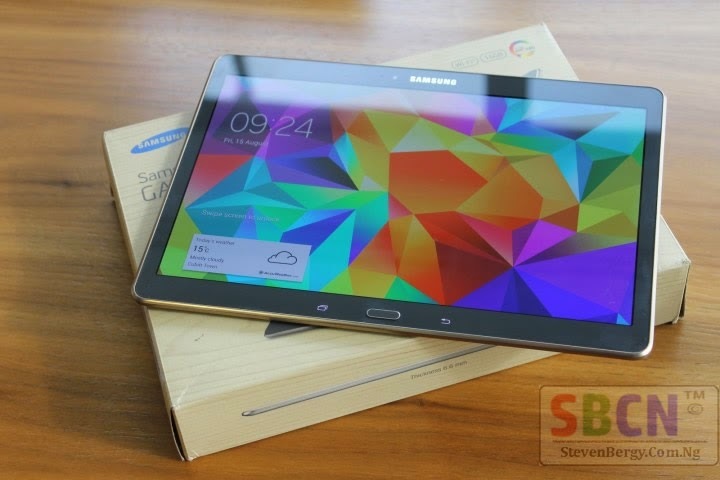 With almost the same specifications, the 2 Samsung Galaxy Tab S are the best Samsung Tablet you'll ever see right now. 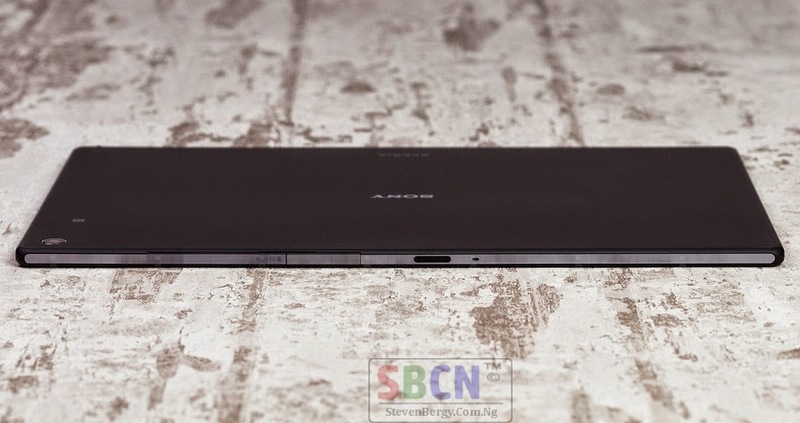 The seventh place is again occupied by a Sony tablet - the Sony Xperia Tablet Z is also thin at 0.27" (6.9mm), which is pretty amazing, and also one of the lightest 10-inch tablets out there. The indisputable fact that it's waterproof makes it more acceptable. Here is another salute thrown to Sony because of its marvel of engineering. 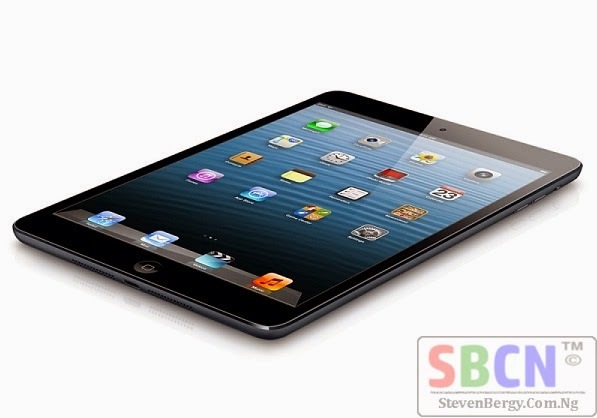 After the Apple iPad Air 2 in 2nd place, here comes another Apple tablet. A smaller and easy-to-handle mini Tablet. The Apple iPad mini is just 0.28" (7.2 mm) thick and yet it is still on this list. Maybe Apple needs to manufacture more thinner and slimmer Tablets to keep up with the thinnest & slimmest competition. Nineth place goes to Samsung's 8-incher in the TabPRO series, only because it is made out of plastic. Otherwise with 7.2 mm it is as thin as the original aluminum iPad mini, while bearing a great pixel density on tablet - 359ppi - all achieved with a regular RGB pixel matrix. This Tablet has 2GB of RAM, 16GB of internal storage, 8MP main camera, 2MP front camera and it runs on Android 4.4 Kitkat. 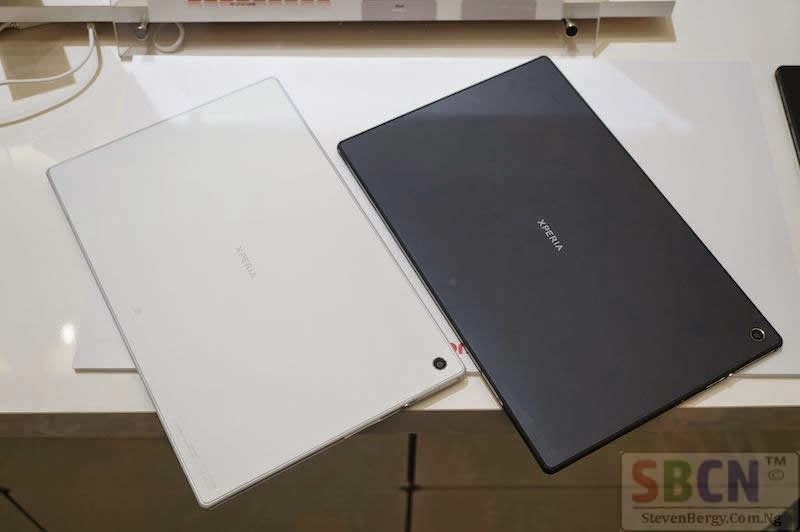 Samsung has obviously managed to slim down its TabPRO line to the extent that we find another representative - the Galaxy TabPRO 10.1 - climbing up in the top ten of the world's thinnest tablets, with its 0.29" (7.3mm) girth. With the same monster screen resolution as the 8-incher, and lighter than an iPad Air, this 10" slate from Samsung has certainly earned its place on the catwalk. Wow !!! What a well-compiled list of the slimmest & thinnest Tablets, dominated by Samsung, Sony and Apple. Which of these slim tablets do you like most ? And why ? Are you still looking for slimmer ones ? Or you get turned off by thin Tabs ? We'd love to hear your thoughts, kindly make use of the comment box on this page and please kindly share this interesting post with others using the share buttons below. You might be interested in getting our latest updates directly in your mailbox FREE of charge, use the subscription box below to subscribe, it's FREE. Have a sweet night rest !